It is easy to rip Bluray to Archos directly if you have a Archos but do not know what kind of format it should be compatible. Maybe you are dreaming of ripping Blu-Ray to Archos directly with high quality for playing now, If you are, you do not need to worry about how to rip Bluray to Archos from a Bluray disc now on. 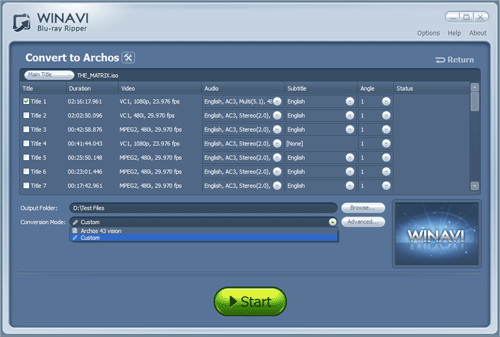 With WinAVI Blu-Ray Ripper, you can directly rip Blu-ray DVD movies even protected Blu-Ray DVD movies to Archos files. 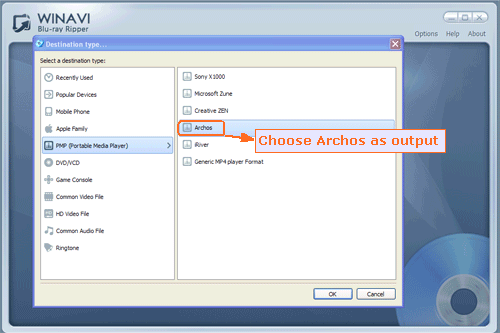 This article will guide you how to rip Bluray file to Archos from a Bluray disc. 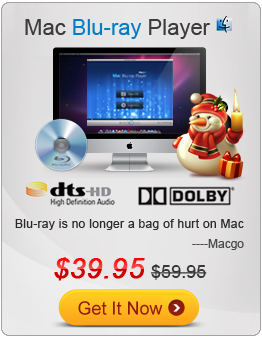 Step 1: Free download WinAVI Blu-ray Ripper, install this program. Step 2: Insert your Blu-ray disk into the Blu-ray player, start the Blu-ray Ripper, and then click the "Convert from Blu-ray Drive" button to import Bluray file. Then a small window will pop up and ask you to select the output format, and we choose "Archos". 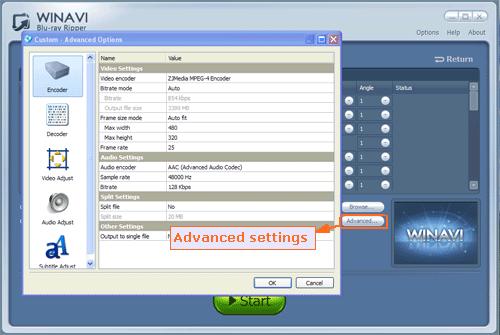 Step 3: Click "Advanced" to open advanced window to do your personalized settings for Archos video file of output. Step 4: Then click the green button "Start" to rip Bluray to Archos. After conversion is complete, you can click "Open the output folder" to check the converted video files on Archos and then transfer this file to Archos for playing.